For over 64 years, Quakertown Christian School has equipped its students to be leaders through an exceptional education within a culture emphasizing Christ-like love, peacemaking, and service. The spacious school campus encompasses preschool and K-12 buildings which house a total of 15 classrooms, and two large sports fields. On campus at any given time throughout the day are approximately 210 students (pre-school through high school) and 35 teachers and administrators. In addition to a long-term lease agreement with two churches that use its facilities, the school also rents out its classrooms, gymnasium, auditorium, and banquet facilities to members of the community. 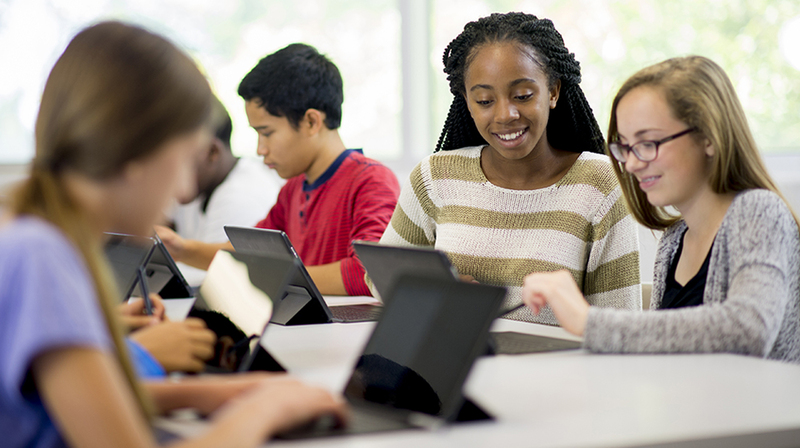 As the school began the transition from a traditional curriculum to a cyber-based curriculum, administrators quickly realized that their network infrastructure was inadequate to support the school’s network connectivity needs. They hired an IT professional to bring structure to the IT environment. Ken Herr, the school’s Director of Information Technology, was asked to bring organization to the technology chaos. “When I came to the school four years ago, we only had about 15 regular wireless users,” Herr explained. “We were anticipating significant growth in the future usage of the network and were challenged with meeting the projected demand with a robust wireless infrastructure.” He stated that since that time, |wireless usage has exploded to hundreds of daily users with the introduction of Chromebooks, faculty laptops, iPads, Macbooks, and BYOD. According to Herr, the high school is now entirely cyber-based. “We run a cyber-based curriculum in grades 9 through 12,” he stated. The program has been so successful that the school is working to incorporate cyber-based curriculum throughout the school. “Since I started at the school four years ago, one of the driving forces to upgrade our network has been to build an infrastructure that could support a school-wide cyber curriculum.” When the school had some money left over from a VoIP system deployment, it reallocated the funds for a wireless upgrade. “The Neutron Series solution has allowed me as an IT director to have a single point of control, a single point of monitoring,” Herr said. “And as an outgrowth of that, I’m able to offer reliable services to the classrooms.” He explained that in private schools where families are paying out of their own pockets for their childrens’ educations, they want to know that they’re getting what they’re paying for. The ability to provide reliable high-speed network connectivity that meets instructional needs, and is at least as good as they get at home, is crucial. “The challenge is that we need to provide that service in a structured, managed environment and the network experience has to be as seamless as possible.” The future-proof Neutron solution allows the network to grow and be easily managed as the campus grows, the number of students increases, and new bandwidth-intensive applications are implemented into the curriculum. Learn about the EnTurbo Series.